Just a few weeks after some African countries including Malawi banned the importation of meat products from South Africa due to listeria outbreak, a 41-year-old man in Namibia is reportedly battling for his life due to listeriosis. 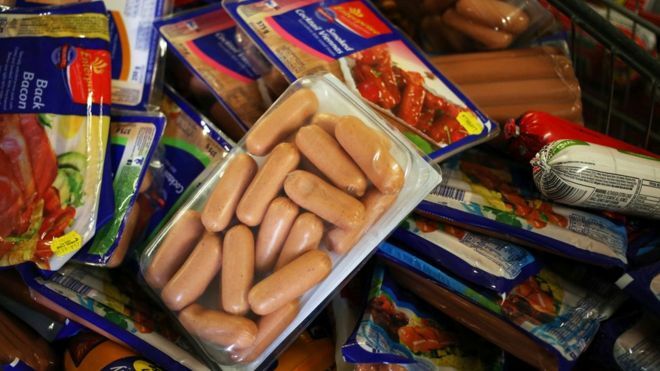 A BBC report quoted the country’s health minister Bernard Haufiku as saying that the man became ill after eating a vienna sausage from a butchery in the north of the capital. Namibia was one of the first four countries in southern Africa to take steps against South African chilled meat imports after the outbreak of listeria was announced a few weeks ago. The World Health Organisation said South Africa’s listeria outbreak, with nearly 750 confirmed cases, was believed to be the largest-ever. “We were already prepared as a country when we heard there was a break out in South Africa,” Haufiku was quoted as saying. Listeriosis is a disease caused by bacteria from soil, water, vegetation and animal faeces which can contaminate fresh food, notably meat. Malawi, Mozambique, Tanzania and several other countries placed a ban on importation of meat products in fear of Listeria.